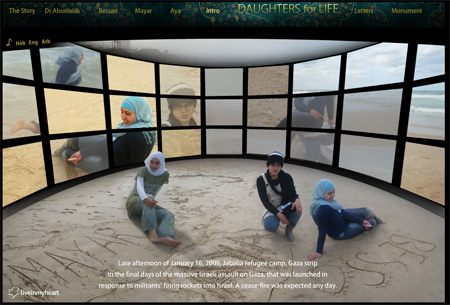 I just discovered this beautiful web site with quotes and photos by Dr. Abuelaish of three of his daughters who died in the Gaza fighting. A powerful endorsement of non-violence in the face of Palestinian extremism and Israeli belligerence: www.daughtersforlife.com. Pass it on. Next PostLook, up in the sky! It's a Jew! It's a Queer! It's Batwoman! I’m very disappointed in you, KFJ. I thought this was really wonderful. Thank you for posting it. I got up this morning and it was the first thing i saw and i just couldn’t stop crying. so sad and full of grief but also so clearly full of love. What an amazingly sad story, I would give anything for your daughters to be alive today. i will never forget them and your wish for peace.